I knew about Aeropress from long time. Their website didn’t build much confidence, but then Leo always talks about it on TWIT. And I trust Leo enough. 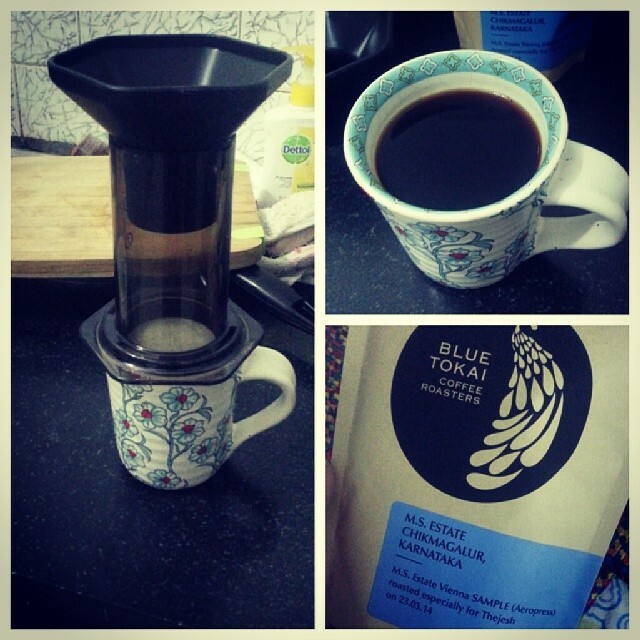 I got myself an aeropress from Blue Tokai Coffee which offers world-class Indian coffee online. 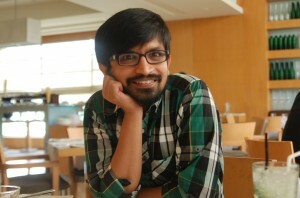 They are probably the first Indian coffee subscription service where in you pay early and they send you freshly roasted coffee every fortnight. Anyway it was easy to buy and got delivered with in two days along with my coffee. Aeropress uses manual brewing where in you add hot water and coffee on the top, leave it for ten seconds and push the plunger down. And your double espresso is ready. That’s it just 30 seconds. If you have electric heater it takes exactly 1.5 minutes in total. You can add a portion of water or milk to make lathe or Americano. It uses paper filter, so you need to change it every time you brew it. But it’s very easy to do. Also the package is so light in weight that I plan to carry it while traveling. Watch this tested episode to see how easy it is to brew coffee. Aeropress was also featured on wired magazine. And I tried it last night, Aeropress meets all the expectations. It brewed the best coffee. 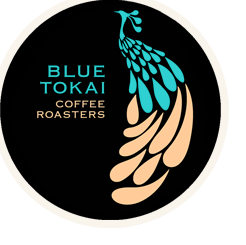 And BlueTakoi probably makes the best coffee for Aeropress in India. Is it better than the traditional filter coffee maker (TFCM). TFCM is also hand, and does not even require changing of the filter paper. The taste depends on multiple factors but for sure its faster than TFCM. Also I think it can make much better espresso.